When these glasses arrived in my house, my daughter took an instant like to them. She is preparing to head off on her own she quickly confiscated them for herself. She is a hot tea person and these glasses have become her tea cups of choice. These glasses by Ozeri are stylish and the double wall is perfect for hot drinks. You can tell that the glasses are produced individually as each one is slightly different. Made from glass that is tougher than normal these tumblers are shatter resistant. My 8 year old has proved that three time in the last week. The glasses are completely dishwasher, microwave and freezer safe, and ship in an elegantly printed and carefully packaged box with a 1 year warranty. Highly recommend these glasses. Made of durable, heat resistant, mouth-blown borosilicate glass of the finest quality, the 8 oz. 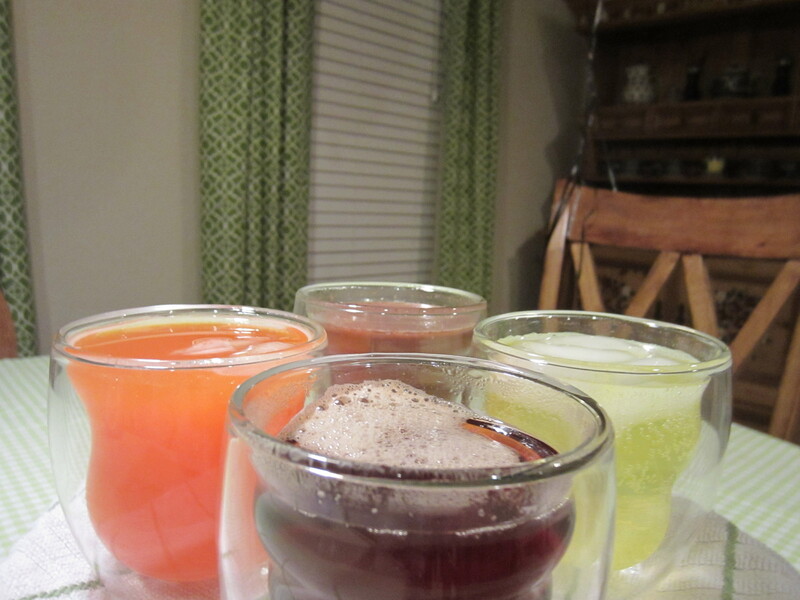 Serafino glasses among the most popular glasses in the Ozeri Artisan Series of award-winning handcrafted drink ware. Borosilicate glass is stronger than common glass, shatter-resistant and with the Serafino’s double-walled design, it offers the ultimate insulation to maintain drinks at their ideal temperature. The Serafino’s unique double wall design suspends drinks within an inner wall for an attention-grabbing optical effect, while the wraparound contour provides a natural aesthetic grip. Each glass is made to keep your hands cool even with your hottest drinks and free of condensation with your chilled beverages. The patent-pending Serafino is great for coffee, cappuccinos, hot or iced teas, cocktails, frozen beverages and much more. Each set contains 4 handmade glasses designed for lifetime use. The Serafino glasses are completely dishwasher, microwave and freezer safe and ship in an elegantly printed and carefully packaged box with a 1 year warranty. You can purchase these glasses from Amazon Here.